It’s truly said that green is the new black.There was a time when telephones were invented and soon we got to see and use the wireless telephone technology; by mentioning this example I only aim to guide you to think how one invention after another mostly changed our lives for the better and so is the case with the greener objects which have been replacing their alternatives. Going green is the new way to satisfy your needs, and now that the eco-friendly minds and products get their much awaited attention, this is the perfect time to bring out the top 10 eco friendly products for your use. Scroll down and let your eyes and mind go through the complete green range. 10. Hand powered shredder You know it’s important to shred your personal documents before trashing them, and you know you should mind your carbon footprint. 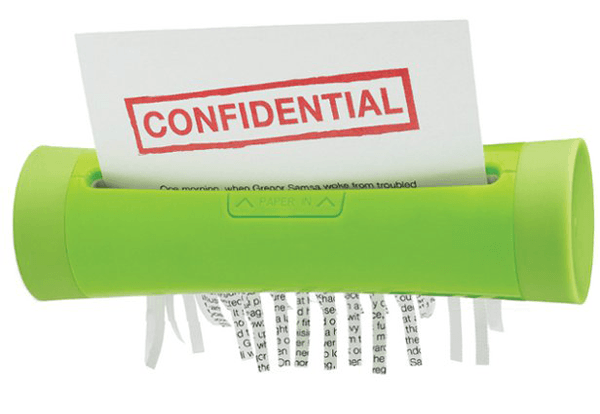 This handy shredder hits two “shoulds” with one stone, letting you do both at the same time! Requiring no electricity, this compact device has two end caps that twist in opposite directions to activate a hand-powered shredding machine. It’s portable, easy to use, and a smart, simple step towards a greener planet. 9. Float: the green lamp With the aim to help save the environment from harm while helping each household to have an elegant lighting solution, designer Benjamin Hubert had created the Float. Designed and released for 100% Design 2009, the Float is made from a collection of cork block recovered from a wine cork manufacturer. Have it installed in your ceiling in any room of your choice and you will surely get an elegant ambiance and feel relived at the same time, as you are sure enough that you have helped save the earth. 8. 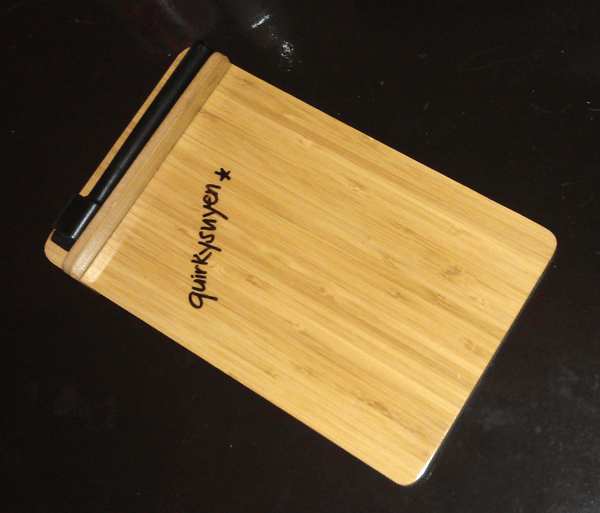 Bamboo Desktop Dry-Erase Board The Bamboo Desktop Dry-Erase Board saves the use in paper. It’s made from real bamboo that comes from FSC certified forests (well-managed forests). The warm honey color of the bamboo looks great in the office, kitchen or wherever else you need to jot a quick note, so grab your piece! 7. The green umbrella Conventional umbrellas come with a fixed surface. This eco-friendly design of an umbrella is more flexible and thus user friendly too. It is actually only a folding umbrella skeleton without any surface. 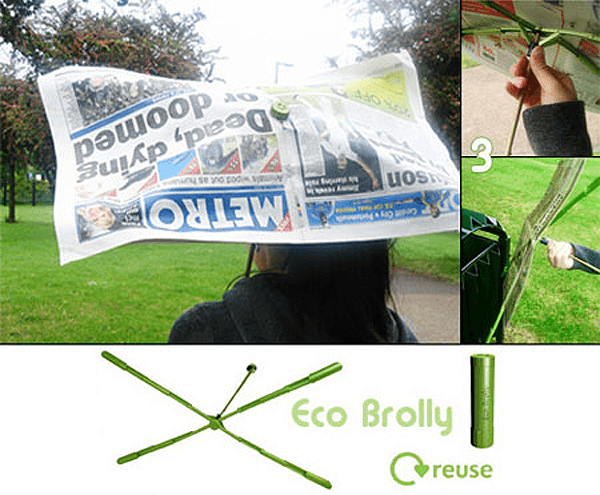 So you can put anything such as newspapers, plastic bags or whatever you want to use as the protecting surface to make your life easy, green and creative when the sun decides to shine on your head or when it rains. 6. Eco-friendly Remote Control Sony challenged Industrial Design students fromChinato design an eco-friendly device. One of the participants fromDongHwaUniversitycame up with this unique creation called the Sony Conductor TV Remote. 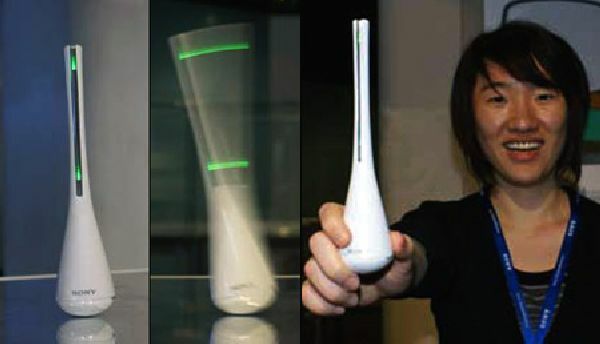 It’s a wand shape kind of remote that needs to be swayed side to side to power it on and the green LED light fires up to indicate its power level. To start navigating, one can wave the conductor left and right to change your TV set’s volume, up and down to change channels and in a circular motion to switch your TV set on or off. The presence of the kinetic energy on this remote made it the most efficient remote control in the market today. Might be tiring, but it’s a green and creative idea! Designer Anthony Roussel has created wonderful and stylish eco-friendly rings and bracelets. 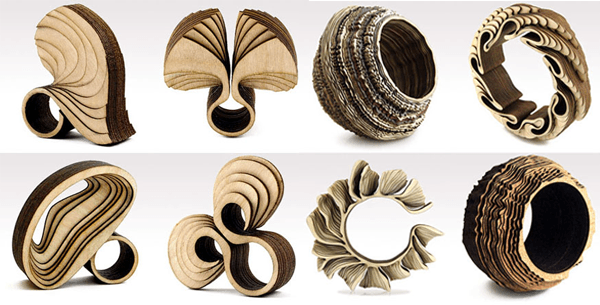 Made from presumably recycled wood and cork, Roussel has worked with layers in order to come up with numerous beautiful 3D designs that look really great and eye-catching. 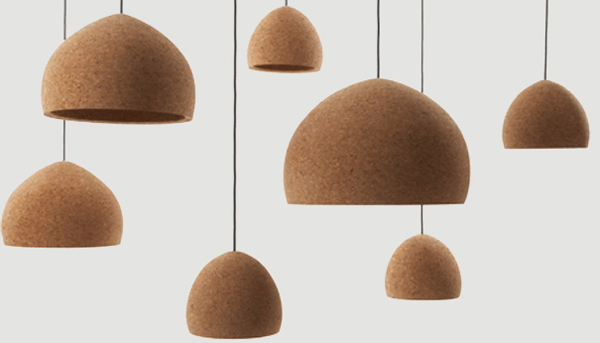 It has been observed lately that more and more designers are now into designing things from recycled cork. Its 3D design will definitely match with the user’s outfit whatever the occasion may be: a social gathering with friends and colleagues, or simply a get together with family members. 4. Moss Carpet The Moss Carpet, created by Nguyen La Chanh, looks like grass at your feet. 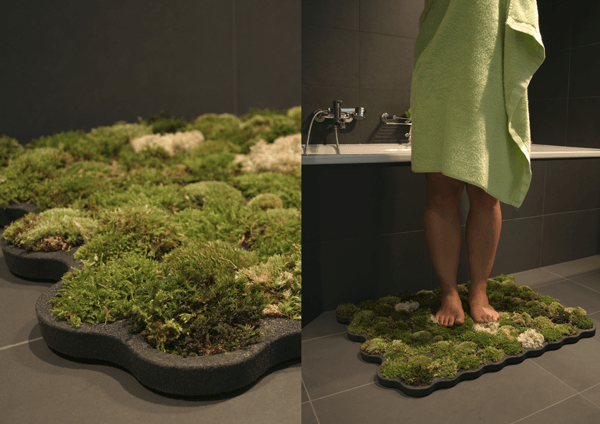 Made from imputrescible foam called plastazote, the mat includes ball moss, island moss and forest moss. The humidity of the bathroom ensures that the mosses thrive, and that’s why you need to place it there and not anywhere else. People say walking on the grass is great for blood circulation, so why not try this? Not a bad option rather a green one! 3. 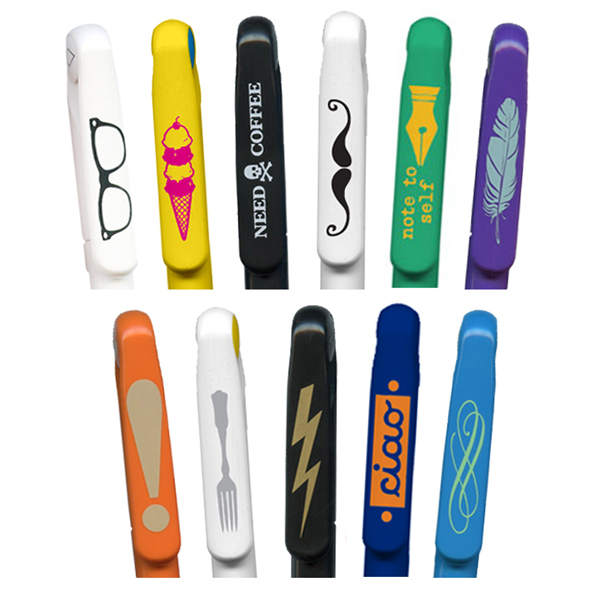 The seven year pen Rather than join 100 millions pens discarded every day, this eco-friendly alternative reduces waste and promises to last at least seven years! With a sleek, modern design, the Seven Year Pen will surely be your best investment. The long-life writing tip and high quality materials will outlast even some of the most expensive pens on the market. 2. Eco friendly chair Cork is extremely familiar especially to those who are into drinking wine; office personnel also get a chance to have a daily encounter with corks in the form of their corkboard; but who could ever imagine that even in your home, you can enjoy the beauty and functionality of corks? The CUT Chair is a sleek and stylish chair you can enjoy at home as your elegant furniture and décor in one. Other than being stylish furniture, the CUT chair is also an eco-friendly one, as it is made of discarded corks from cork factories. 1. Bedol water-powered clock This clock runs on salt water. The briny fuel corrodes the clock’s electrodes, which release electrons to provide power to the monochrome LCD. Though it doesn’t do much more than tell time, it can go weeks without a refill. 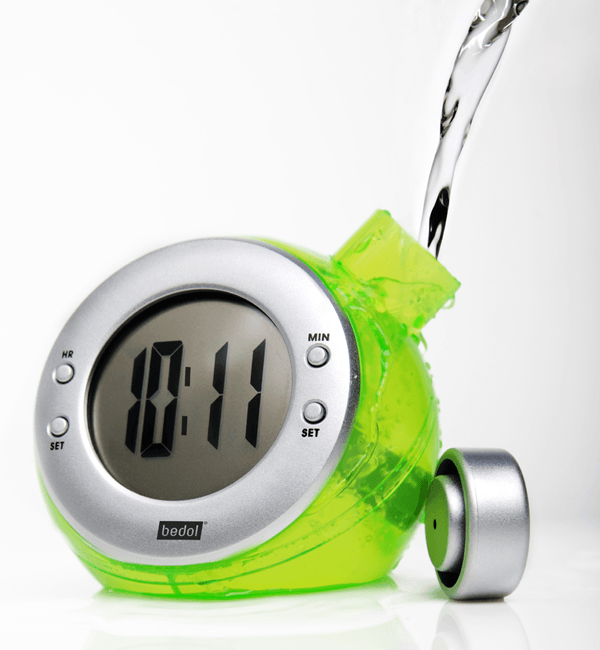 Other water-powered clocks tend to look like they were made as a science project, but this one is available in a handful of different colors and screams eco-chic, not eco-geek. It is available for $16.